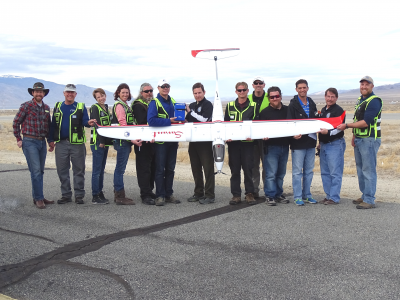 RENO, NEVADA-July 16, 2014: At Drone America, we are proud to announce the DAx8 RC UAV to our Unmanned Autonomous Systems (UAS) family. The DAx8 RC UAV features an unique eight motor design which allows it to carry 4.4 pounds of payload while providing more safety and redundancy to the system. The Unmanned Autonomous Vehicle (UAV) is controlled by remote control or through a Tablet-PC for precision maneuvers or you can program it follow along a set of predefined multi-way points. The large Lithium-polymer battery allows the DAx8 RC UAV to run for up to 35 minutes which surpases many of our competitor’s offerings on the market today. The DAx8 RC UAV is available for pre-order starting today.